Vacation Inspirations has been awarded the Couples’ Choice Award 2019 by Wedding Wire. It offers excellent options for destination weddings in stunning locations worldwide. Vacation Inspirations has been awarded the Couples Choice Award for its excellent array of destination wedding options on Wedding Wire. The site rates Vacation Inspirations as five stars for its quality of service, professionalism, flexibility, value and average response time. Vacation Inspirations provides holiday goers and those wanting an ideal vacation to find dream destinations around the world. It provides details on cruises, tours, packages, condo weeks, and destination weddings. Destination weddings are the highlight of the married couples’ year, and probably their life, so it’s important to get the location right. Getting information from a vacation specialist like Vacation Inspirations can ensure that the happy couple don’t get disappointed on their big day. When planning a destination wedding, the event can be as large or as small as the guest list requires. They are statement weddings, and offer a range of benefits over more traditional weddings. One of the key benefits of arranging a wedding abroad is that there is less stress. With a resort, this is especially true, because the bride and groom don’t have to worry about where everyone is going to stay – they simply all stay at the resort. 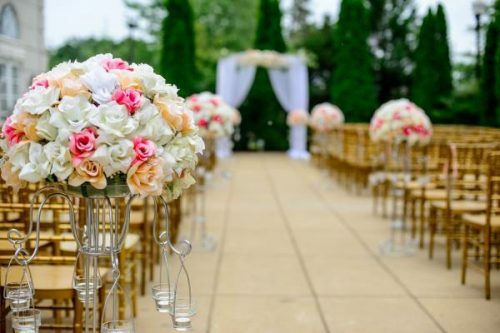 This also takes care of where to eat and any venue hassle as well, so it means the couple are able to enjoy the build up to their big day without excessive worry. Destination weddings are also a great chance to get creative and design a wedding party around a specific theme. These could be tropical themed weddings, beach weddings, or any number of other ideas. Vacation Inspirations is well equipped to handle the destination wedding plans of any couple, regardless of their aims or goals.